Tunturi are famous for their home and light commercial cardio vascular equipment and elliptical cross trainers for good reason. The 6.1 is the middle of the range offering with others units available in a less expensive range and more exclusive range. The design has been described by some users as “stylish yet minimal”. Whatever you call it the new model is distinctively Tunturi styled and attractive. For those of you with a interest in the design and engineering features, you will notice that the flywheel housing is very compact. 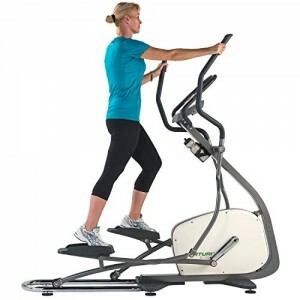 The 6.1 is offered in both the front drive and rear drive elliptical cross trainer models. This description is mainly about the more popular rear drive version. The handles have a contact heart rate monitor into them and this will suit those users who don’t wish to wear a heart rate monitor belt. The diagrams are easy to follow and even someone with as little technical expertise as me can put the unit together, (of course with a little help from my wife). For those of you who have dealt with the same drunk builders who build my house and have uneven floors, the 6.1 is built with 4 adjustable leveller feet. A set of wheels on the bottom also make it easier to move this 65kg unit around when you need to. Of course most of the time you will only need to put this machine together once, it is nice to know that it will be an easy job to complete. 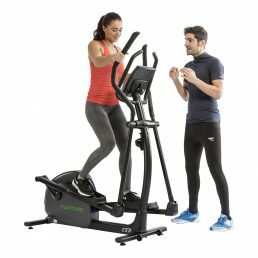 What are the other fitness machines in this category? The Tunturi 6.1 comes with two options when it comes to warranty, a home warranty and a light commercial warranty. 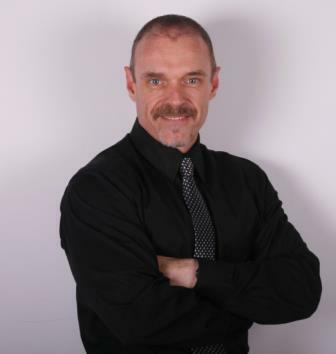 There is frequently an option to extend the parts warranty by another 12 months, so please ask about this when you enquire, or send me a message here. 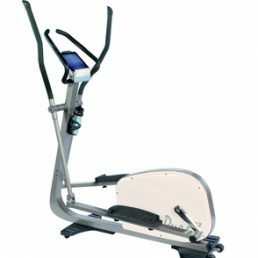 As you might expect with Tunturi pushing the boundaries with a middle range elliptical trainer there is a great looking console with a fine array of programs. A 18 cm (that’s 7 inch in American) full colour screen. 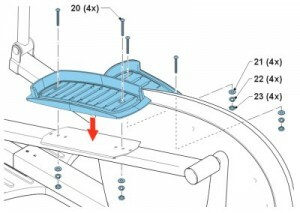 The central dial toggle button on the console is surrounded by four simple and large buttons. 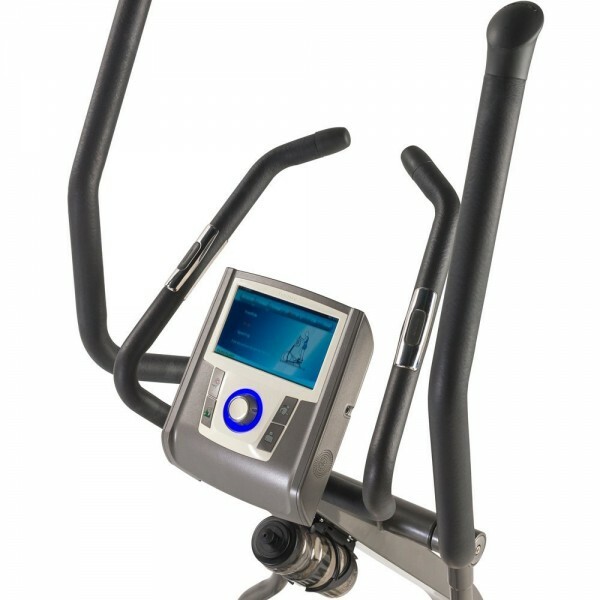 These control starting and stopping the workout, switching to cool down mode, resetting the information displayed on the screen and a bodyfat mode. All of the information is easy to see and understand. 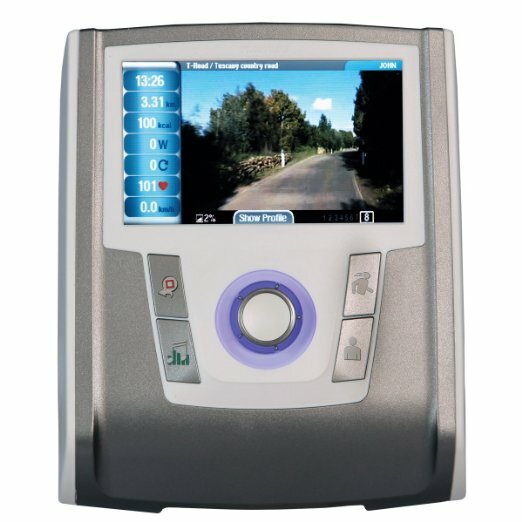 There are 43 programs including T-scale, T-ride, T-road, race, Multiple user programs , Watt, 6 Heart Rate controls, phew! And if any of you know what that means please call me to tell me! 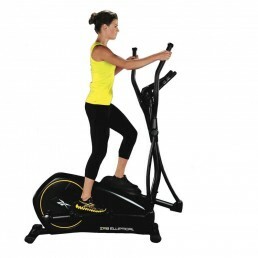 Actually I have made it a bit easier with a short explanation on the elliptical programs here. Anybody weighing up to 150 kgs can use this machine. 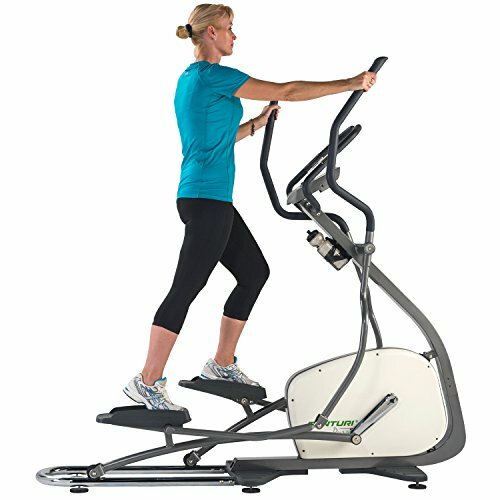 For those of you needing to shed quite a bit of weight the elliptical trainer is a far better bet than a treadmill for you joints and your pocket. 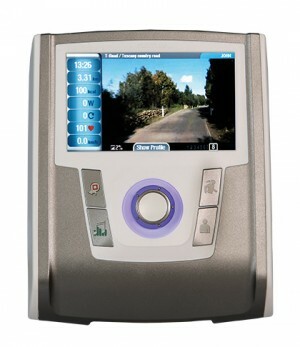 Here is another informative video with a voiceover that does not give the machine justice. Don’t worry the Elliptical works much better than the voice over software! Workout Programs 19 workout programs.